After three years of building, Durham Cathedral in LEGO is almost complete! 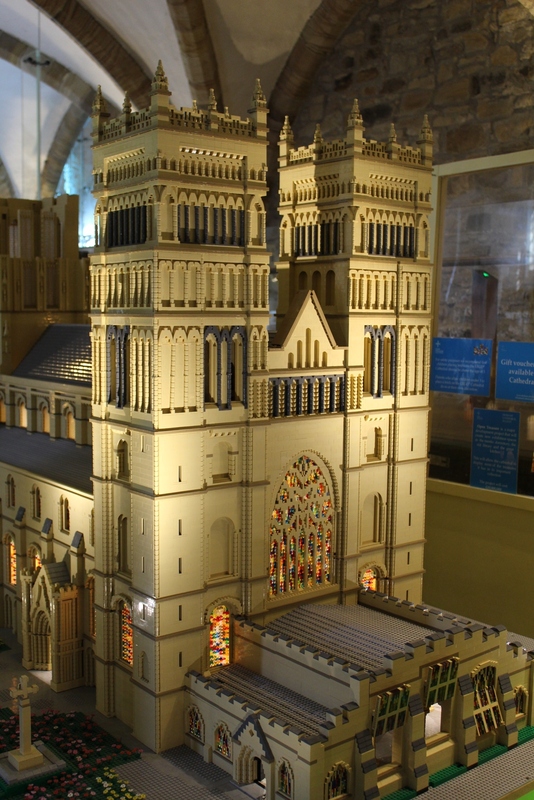 This magnificent 300,000 brick model was designed to raise funds for Open Treasure, the Cathedral’s new world-class exhibition experience open from 23 July (pictured below right), with bricks being added to the model by members of the public in return for a £1 donation. Since the first brick was laid by TV presenter and historian Jonathan Foyle on 11 July 2013, almost 300,000 bricks have been added to the model, which has attracted attention from visitors across the globe. Visitors from as far afield as Alaska, the Seychelles, the Solomon Islands and the Cook Islands have placed bricks on the model, whilst closer to home community groups across County Durham from Spennymoor to Barnard Castle have contributed towards the build. Durham Cathedral in LEGO has also enjoyed the support of Durham Business Club over the last three years, with members regularly adding bricks to the model at Breakfast Meetings both at the Cathedral and in various locations across the County. Thanks to the continued support of Durham Business Club members, other local businesses, community groups and organizations, as well as the generosity of visitors to Durham Cathedral, over £300,000 has now been raised for Open Treasure, the Cathedral’s new world-class exhibition experience open to the public from Saturday 23 July 2016. With interactive exhibits and activities for visitors of all ages, Open Treasure will transform the experience of those visiting Durham Cathedral. 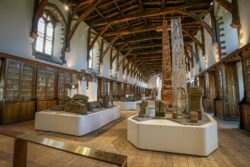 Visitors will embark on a journey through the UK’s most intact surviving monastic buildings, including the fourteenth-century Monks’ Dormitory and majestic Great Kitchen, as the story of Durham Cathedral and its incredible collections is revealed. The Cathedral would like to extend a hearty thank you to all Durham Business Club members who have supported Durham Cathedral in LEGO over the last three years, and encourage them to visit Open Treasure when it opens later this month.